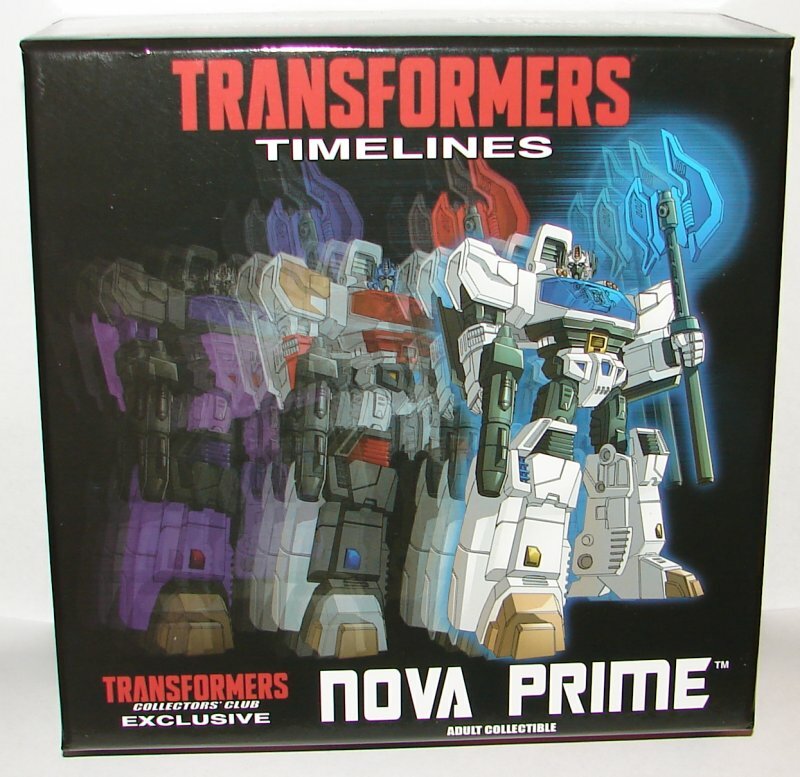 Nova Prime is one of the 2015 Botcon Collector’s Club Store exclusive toys. There will be two others that are GI Joe Crossovers, but they aren’t available yet. It was $59, overpriced, but not as horribly as some toys. Let’s start with the box. There is one interesting thing on the cover. 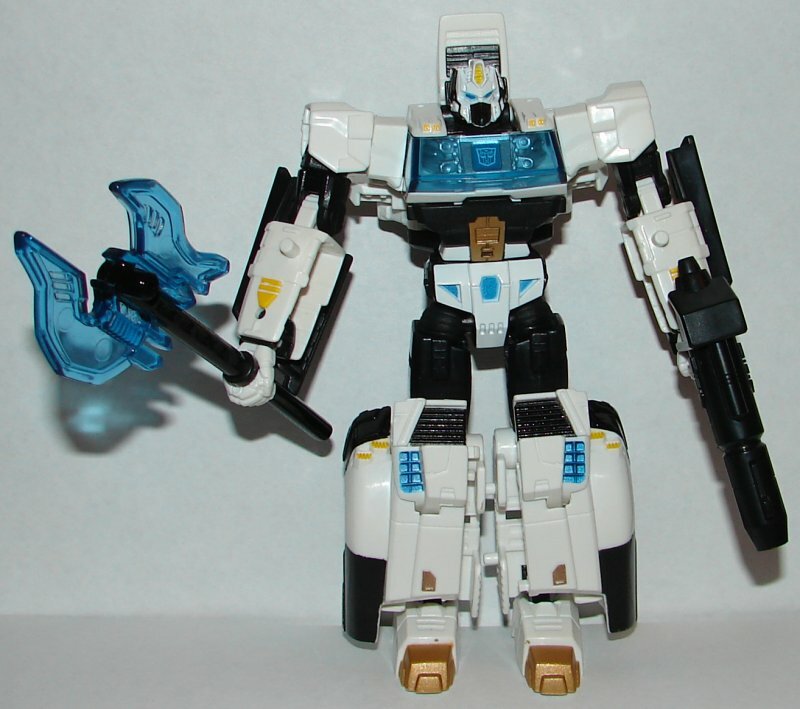 The image on the right is Nova Prime, and the center image is the 2015 Club Membership Exclusive Lio Convoy, a toy that makes no sense as he is not a lion. What is interesting is the figure to the left. 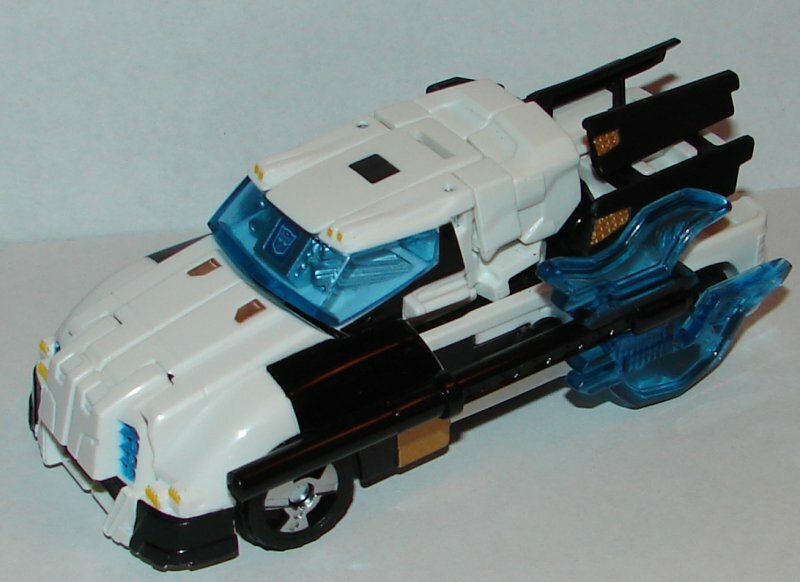 Fans not familiar with Beast Wars II toys may mistake this for a shadow, but in reality, it is Galva-Lio Convoy. There is a story in Beast Wars II, I’m not sure if it’s cartoon, text, or a comic book, where Lio Convoy is somehow infected by Galvatron’s spark (or something like that, I might not have it exactly right). The toy is the regular Lio Convoy toy in Beast Wars II Galvatron colors. It’s a pretty awesome toy, unfortunately, it was a Lucky Draw toy and only 50 were made. It’s unfortunate, as I have the other three versions of Lio Convoy (Standard, Flash, and Black) but am unlikely to ever complete the set. Fifty is a lot for a Lucky Draw (at least as far as I know) but way too few to be in my price range. This of course does not mean we are definitely getting a third version of this mold, but I think there is a good chance we will. It might be the freebie toy for the Primus package attendee toy, a Souvenir toy, or perhaps part of next year’s Subscription Service. My money is on the latter, since this year’s Subscription Service set seems to indicate they are running out of ideas. He included a tech spec if that interests you. 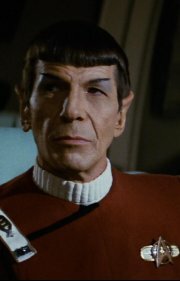 The character means nothing to me. Vehicle Mode: Nova Prime is based on the Transformers Generations Deluxe Orion Pax mold (read my review of the mold here). His vehicle mode is decent looking, though he looks a little plain. I’d have liked to see some stripes or something on his hood and or roof, perhaps in gold. Robot Mode: They did a nice job painting him. The black and white works well with blue and gold highlights. In the picture the Autobot symbol shows up well on his chest, but that is because of the flash. If you look at it in less than perfect light, you might not even notice it has an Autobot symbol there. They should have made the outline darker silver, or even black. The Autobot logo looks best in red surrounded by silver, that would have been the ideal. The one major problem is that the head sculpt is crap. On the left in the picture above are the head sculpts of Nova Prime and Lio Convoy that were put out by Fun Publications to promote the items. They are clearly photoshopped. On the right are the final head sculpts. The final heads look awful compared to the photoshopped versions. They look squished from the sides, and the antennae which are clearly meant to be separate from the head in the art are squashed to the sides of the heads. Frankly, the final version is disappointing given what we were shown initially. This has happened on numerous occasions. Now, I know the final version photo was available before these were ordered, and Lio Convoy is a freebie, so I’m not saying we got bait and switched, or there was false advertising as there often is in the box sets, but I really wish they wouldn’t put out photoshopped versions of toys as promo pics. They so often just leave us disappointed with the final product. I know they claim they don’t have much control over what the factory does, but after it’s happened as often as it has, let’s not show the toys until we actually know what they will look like. Just don’t show pictures until the toy is final. There is no need to. I miss the old days when we didn’t know what the toys were until the convention, and they had to be ordered without even knowing who they were. I was almost never disappointed with an exclusive in those days, the exception being CatScan, and a large part of my disappointment was that we could have had Machine Wars Deluxe Snarl as Alpha Trion instead. They weren’t all A+ toys, but I never looked at one and thought that it was cheap crap and I hadn’t gotten what I paid for. 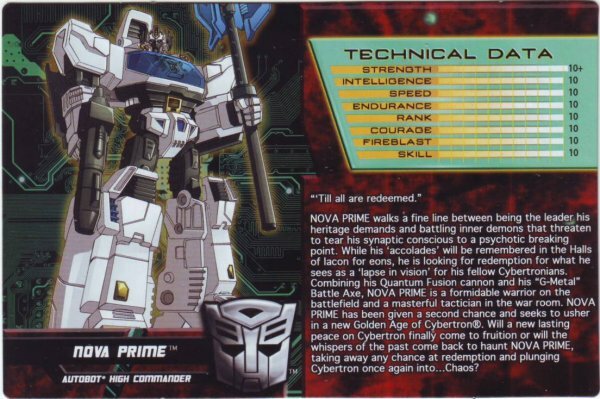 Overall: If this was a character that mattered, $59 wouldn’t be bad, but I’ve never heard of Nova Prime. At least Lio Convoy is a character and toy I’m familiar with and like, even if making him a truck makes no sense. This entry was posted in Toy Reviews, Toys, Transformers and tagged Botcon, Botcon 2015, Galva-Lio Convoy, Lio Convoy, Nova Prime, Toys, Transformers, Transformers Collectors’ Club. Bookmark the permalink.